The Gospel of Barnabas, which is here presented in the original translation by Lonsdale and Laura Ragg (1907), is one of the most enigmatic texts of Christianity. It combines Jewish and Christian elements with aspects that appear to be Islamic. Henri Corbin, in commemoration of the common ancestor of these three religions, entitled his essay on the Gospel of Barnabas “Harmonia Abrahamica”, thus indicating the conjunction of all three religions in this one text. As an “abrahamitic” Gospel harmony, which uses Jesus’ traditional parables to provide a unified description of his life, the Gospel of Barnabas possesses a multi-dimensionality that may well irritate religious scholars, because it challenges the currently accepted model of Christian religious history. Unsurprisingly, with increasing public awareness, the Gospel of Barnabas has become the subject of Christian polemics, especially in the course of the past thirty years. We refer to the misleading German Wikipedia article (January 2014) as a good example, the bigoted bias of which stands out clearly when compared to the informative article of the Engish-language version of Wikipedia. In the following we attempt to properly formulate the intriguing question regarding the underlying source of the Gospel of Barnabas based on text-critical comparison, and to provide the basic parameters for an answer. The Gospel of Barnabas available to us is the English version of an Italian manuscript, which has been kept in the National Library in Vienna for three hundred years, and judging by the paper it is written upon, can be attributed to the sixteenth century. Because of its archaic language, as well as on the strength of internal evidence, the text is thought to have originated in early fourteenth century, if not earlier. (Joosten 2010; Ragg 1907). In the 1970s, the incomplete copy of a Spanish manuscript surfaced; its preface explains that the book had been translated from Italian by the Aragonese Muslim Mostafa de Aranda. Therein is related the story of the otherwise unknown Fra Marino, who claimed to have found the Gospel in the private library of Pope Sixtus V, and secretly copied it. The text came to light in Sydney in 1976 and was published and commentated by Luis Bernabé Pons in 1998. The first edition of the Vienna manuscript, including its English translation was published in 1907 by the philologists and Dante-scholars Lonsdale and Laura Ragg. Soonafter this work was widely circulated throughout the Islamic world where it became highly appraised as Jesus’ true legacy, because the text evinced surprising harmony with the salvation history attested to by the Holy Qur’an. Christian missionaries tried to counteract this by claiming that the work was merely the forgery of a seventeenth century Jewish convert to Islam, who wanted to exact revenge for the Inquisition. 1977 Luigi Cirillo and Paul Frémaux published a facsimile edition of the manuscript with a parallel French translation, followed by Cirillo’s dissertation, which to date remains the most comprehensive scientific analysis of the Gospel of Barnabas. Henri Corbin’s introduction to this work entitled “Harmonia Abrahamica” contributed important interpretive insights, which in turn became the starting point for further investigations. A German edition followed in 1994 (Spohr Publishers), which twenty years after its publication was reissued in a new edition with this introduction. The Gospel of Barnabas essentially contains narratives that in similar form are familiar to us from the canonical Gospels; some sections overlap with the apocryphal writings of the Old and New Testament, and in addition to this it contains extensive unique material drawn from sources that can no longer be identified today. There are remarkable parallels to certain exotic scriptures of late Judaism that were read in Jewish-Christian circles and frequently reworked in a Christian context. Prominent examples of this in the New Testament are references to the Book of Enoch and the Ascension/Assumption of Moses in the epistle of St. Jude, the “Brother of the Lord”. The narrative of Abraham’s youth as found in the Gospel of Barnabas is otherwise only found in the Apocalypse of Abraham, preserved only in Old Church Slavonic (Marc Philonenko). The story of Adam and Eve as told in the Gospel of Barnabas is paralleled in the apocryphal “Life of Adam and Eve”. Other episodes from the lives of minor Old Testament prophets recounted in the Gospel of Barnabas were completely unknown thus far. They are imbued with the spirit of an ascetic Essene Judaism. The Jesus of the Gospel of Barnabas is an Orthodox Jew who demands strict observance of the law of all his followers. Undoubtedly the historical Jesus actually taught in this way, for similar pronouncements of his are recorded even in the canonical Gospels (Matthew 6:4; 23:1 ff.). If its critics invoked Islamic-sounding passages in the Gospel as evidence of a Muslim forgery, it is important to understand the legacy of the nazarenes that this impression not only does not corroborate a suspected forgery, but that it actually makes good sense, inasmuch as the old Jewish-Christianity had many things in common with Islam, such as food regulations and precepts of cleanliness (see the Schoeps citation below). If criticism is levelled at the Gospel of Barnabas for calling the true Messiah “Muhammad” (“Machometo” or “Maometo” in Italian) in Chapter 96, it needs to be pointed out that in Islamic scripture the Prophet, upon whom be peace, is not referred to as the masîª, and that the Qur’an assigns this designation only to Jesus. (cf. Sura 4/172). It is entirely possible that this whole sentence, or at any rate the phrase that speaks of Muªammad as the “Messiah” were later insertions, unless the term here is due to a simple error of translation. The Aramaicist Jan Joosten (2010) writes: “Basically, the Gospel of Barnabas is an orphaned text [...] We know very little about its author, the date or the circumstances of its origination.” However, Joosten here implicitly assumes as fact just what has yet to be substantiated, namely that there exists no connection between the Apostle Barnabas and the Gospel. By contrast, we consider it important to focus with due diligence on some of the important issues. The first question would be: was there, in early Christian tradition, a gospel called the “Gospel of Barnabas”? Most definitely there was. A “Gospel according to Barnabas” is mentioned in at least two old directories, the fifth century Decretum Gelasianum and the seventh century Catalogue of Sixty Canonical Books of the Eastern Church Tradition. Moreover, it is worth noting that in both directories a “Gospel of Matthias” immediately follows the listing of our Gospel. This is so interesting because there exists evidence that the names “Barnabas” and “Matthias” might have referred to one and the same person, as will be explained in more detail below. For now, we would like to point to the Recognitiones of Clement of Rome (Fußnote: Origen (~A.D.185-254) already quoted extensively from the Recognitiones, which therefore date back to long before the Imperial Church was established in the 4th century. ), known already to Origen, where we read: “Barnabas who is Matthias, who had become apostle in place of Judas the Traitor” (Clem. Rec. I, 60.5). This means that we must expand our search for the ancient “Gospel of Barnabas” to include a “Gospel of Matthias”, which is already mentioned as such by Clement of Alexandria around A.D. 200. There exists a further clue. In the year A.D. 478 the grave of the Apostle Barnabas was rediscovered on Cyprus. According to the report, the “Gospel of Matthaeus” was found upon his chest, which soon after its discovery was gifted to the Byzantine emperor. It cannot have been the canonical “Gospel of Matthaeus” since this was authored decades after the death of Barnabas. Now both “Matthaeus” and “Matthias” can be traced back to the same Semitic name “Mattai”. If Matthias, who replaced Judas the Traitor and Barnabas were one and the same person, – as will be demonstrated more fully later – the question arises whether this gospel, which until the year A.D. 1204 was accessible as a relic in the Imperial Palace at Constantinople, actually was the “Gospel of Matthias”, that is the “Gospel of Barnabas”. The book has been lost since the conquest of Constantinople; today it would prove an invaluable asset. Now, if according to the above a gospel attributed to the Apostle Barnabas actually did exist in the early Christian era, our second central issue which was already raised in 1977 by Luigi Cirillo will be: How does the “Gospel of Barnabas” text presented here relate to the missing ancient text? Before we delve more deeply into this matter, we need to categorically refute the already mentioned allegation by Christian missionaries who claim that the Gospel of Barnabas is a Muslim forgery. First of all, it is not plausible to assume that a Jewish-born Muslim could have authored the “Gospel” as an act of revenge for the Inquisition, because at the relevant time the Jews and Muslims who remained in Spain were subjected to extremely harsh pogroms and were fighting for sheer survival. They certainly must have had other things on their mind than concocting an extensive and complex gospel, which in the case of discovery would have meant certain torture and death. Secondly, any assumption of forgery must be rejected in principle, as all variants of the forgery-theory assume that the book originated in Spain and was subsequently translated into Italian (Jomier, Gomez, d’Epalza, Slomp, Wiegers, Bernabé Pons). This premise was however debunked by Jan Joosten, who likewise supports the course of events described in the preface of the Spanish manuscript itself: that the work had been translated from Italian into Spanish by an Aragonese Muslim named Mostafa de Aranda. Evidence of the great age of the canonical sections of the Gospel of Barnabas can be adduced on the grounds of special variants that agree with the 2nd century Gospel harmony of Tatian, the famous Diatessaron (note: Tatian the Assyrian, compiled the four New Testament Gospels in an ingenious way as a single, continuous narrative of the life of Jesus, always careful not to omit any information. The Aramaic original of the book which in the East was regarded as the gospel per se, was destroyed by the Imperial Church in the fifth century. Translations, comments and quotes however survived and are consolidated under the heading: „diatessaronic witnesses”. However, since Tatian used the Gospel of the Hebrews as a fifth source, one cannot easily distinguish whether an ancient „diatessaronic“ variant is attributable to the Diatessaron, or should be traced back to the older “Gospel of the Hebrews”.). Luigi Cirillo (see above) had already realised that the Gospel of Barnabas constitutes a Gospel harmony, i. e. a summary of witnessed evidence relating to Jesus, compiled to form a biography. Since the Gospel of Barnabas and the Diatessaron share a wealth of identical readings, this seemed to indicate that both harmonies are closely connected. However, this view can only be maintained as long as the sequence of “pericopes”, that is, the sequence of text passages in the Gospel of Barnabas have not been more closely examined; for this sequence is then seen to differ dramatically from that of Tatian’s famed Diatessaron. In contrast to individual variants, it is the sequence of text passages that is the real “fingerprint” that can prove whether one text really is derived from the Diatessaron. Both works could spring from an even older text, such as the “Gospel of the Hebrews”, which in the case of the Diatessaron is a proven fact. Is it possible that in the canonical passages of the Gospel of Barnabas we have already found the long-lost “Gospel of the Hebrews”? While in the fourth century Epiphanius noted that some scholars labelled the Diatessaron as “according to the Hebrews”, today researchers unanimously identify the lost “Gospel of the Hebrews” as one of the sources Tatian used in his Diatessaron. This would have been the original Aramaic Gospel according to Matthaeus, which the Apostolic Father Papias in A.D. 120 described in these words: “Matthaeus was the first to write down the words of the Lord in the Hebrew language.” Through his detailed comparison Joosten demonstrated that the canonical passages of the Barnabas Harmony share many special variants with European Gospel Harmonies, such as the Venetian, the Liège and the Pepysian Gospel Harmony. Researchers have unanimously agreed that these are all based not on Tatian’s opus, but on a lost Latin Gospel Harmony (Petersen 1994), which possibly might be the translation of the “Gospel of the Hebrews”. This would be readily compatible with the witness of Jerome (Hieronymus) around A.D. 400 who claimed to have translated the Nazarene Gospel into Latin. Inspired by Joosten’s work, the Brazilian Claudio Malzoni found nineteen agreements with diatessaronic witnesses in one section alone, the “Encounter at the Well” (Chapter 81-83). (note: Assuming a uniform distribution throughout the canonical portions of the Barnabas-Harmony, this would result in about 500 „diatessaronic“ variants! This would mean that the text is less vulgarised and therefore older than the Venetian Harmony, which is assumed to date from the fourteenth century. In his study of chapters 81-83 of the Gospel of Barnabas, apart from parallels with MS Pepys and Italian texts, Malzoni also found four similarities with the Persian Harmony and seven with the text of the Syriac Gospel! (Revue Biblique 113 (2006)). This speaks for a Near or Middle Eastern origin, as Luigi Cirillo had already surmised on the strength of other evidence.) As might be expected from Joosten’s work, these are not only consistent with early Italian Gospel Harmonies, but frequently also with Oriental witnesses, such as the Perso-Aramaic Gospel Harmony, the Syriac Gospels and an Arabic Diatessaron (At the same time, the “100-year jubilee”, which is only mentioned in this section, proves to be a late interpolation in an underlying, much earlier text. 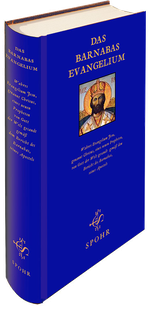 Since its first publication a hundred years ago, this Jubilee has been made to serve as prime evidence for the Gospel of Barnabas’ dating from the Middle Ages, whereas at best it can serve as an indication for the translation’s hailing from early Italian times. According to the Torah, which to Jesus and his early followers continued to be applicable, the Jubilee Year is celebrated every 50 years. Only the Church of Rome instituted a 100-year jubilee, which was subsequently reduced to 50-year, and later to 25-year intervals.). As an important interim result we note that “diatessaronic” variants, such as those found in the Gospel of Barnabas by Joosten and Malzoni, quite clearly express the proximity of our work to the Nazarene Gospel. In fact, there exists further evidence, hitherto overlooked in scholarly studies, to prove that at least the canonical sections of the Gospel of Barnabas are derived from the Nazarene version of the “Gospel of the Hebrews”; this we shall now attempt to delineate. Even in standard Bible editions we find the story of the adulterous woman who is to be stoned to death, and the famous phrase: “Let him who is without sin cast the first stone” (cf. John 8:1 ff.). However, it is here accompanied by explanatory notes, as this parable is not found in the most famous of the earlier manuscripts. The earliest physical witnesses for the “Pericope Adulterae”, the Codices Bezae and Palatinus, date back to the fifth century A.D. and originate in the western part of the Roman Empire. To mitigate the breach caused by an artificial insertion into the Gospel of John, it had to be preceded by the verse: “Then they all went home.” (John 7:53). Eusebius provides the earliest evidence for the parable. From A.D. 300 on he was Bishop of the Palestinian city of Caesarea, where according to his testimony the now lost “Gospel of the Hebrews” was kept in the famous library. In his Ecclesiastical History Eusebius writes that Papias in his “Interpretation of the Words of the Lord” (in five volumes) tells the story of a woman “who was accused before the Lord”, a tale occurring also “in the Gospel of the Hebrews”. That means that Eusebius has two different sources for the parable of the sinner, the commentary of Papias and the “Gospel of the Hebrews”. The astonishingly large number of existing variants of this parable can be understood as a subsequent amalgamation of material contained somewhere in these two sources. This begs the question, on the basis of which features the two original versions can be distinguished, that is the Papias Pericope and the Pericope of the Hebrews, since both works have been lost for centuries and only about a dozen passages attributed to each respectively are known to us. Now the Gentile Papias composed the interpretation of the words of the Lord in Greek language for non-Jewish Christians around A.D. 120. Papias was a disciple of the Apostle John and supposedly even put into writing the Gospel of John. In the longest of the surviving fragments his propensity for fanciful flourish becomes apparent. He tends not to record events in chronological order. 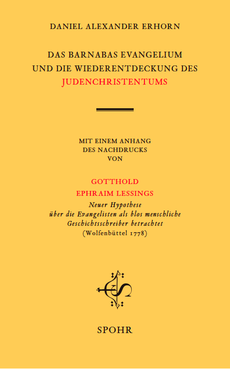 The “Gospel of the Hebrews”, which according to Papias was written down by the disciple Matthaeus (Matthew), in addition to material well-known from the canonical Gospels, contained references to the Jewish law which therefore were of little interest to Gentile Christians. Its text was compact and without tedious lengths. It was written in Hebraic Aramaic, the language of Jesus, and it described events in chronological order. Non-Jewish Christians mostly knew it only by name. The scribes of most Bible manuscripts were apparently not aware of the correct position of the narrative of the adulterous woman in the biography of Jesus, otherwise it is difficult to comprehend how the passage was constantly inserted in the wrong place. The “Gospel of the Hebrews”, in which the Pericope must have been embedded within the natural flow of the narrative, can therefore not have been the source of any of these. Therefore, the scribes probably obtained their knowledge of the parable of the adulterous woman from the commentary of Papias, which in contrast to the continuous storyline of the Gospel, was not presented in chronological order. In the Codex Bezae version of our parable of the sinner, we find an additional phrase that sheds some light on the target audience of this tradition; here, in John 8:9, we find the variant: “Every one of the Jews ...” Assuming that the episode takes place in the forecourt of the temple, into which non-Jews were forbidden to enter on pain of death, it becomes clear that only a text addressing itself to non-Jews, such as the Papias commentary, would make explicit mention of the Jews; however, this would not be true for the “Gospel of the Hebrews”, which addresses itself only to believing Jews. Now there exists an interesting group of manuscripts (note: The Ferrar-group of manuscripts is characterised by certain archaic variants. Many manuscripts of the “f13” group originated in Southern Italy, where in some scarcely accessible areas a form of Christianity independent of Rome held its ground by dissembling conformity to Roman-Catholic doctrine well into the Middle Ages. In some Calabrian monasteries that remained Arian until well into the tenth century many rare writings, such as the Clementine Homilies were preserved.) (“Ferrargroup” MSS 13, 69, 124, 346, 543, 788, 826, 828, 983), which places the Pericope of the adulterous woman in the Gospel of Luke instead of in the Gospel of John. Assuming that it is here found in the correct chronological order, namely in connection with Jesus’ last visit to Jerusalem, it says: “By day he used to teach in the temple and go out at night and spend the night on the mountain, which is called the Mount of Olives. And all the people came to him early in the morning to the temple, that they might hear him.” At this point there follows in the manuscripts of the Ferrar-group the “Story of the adulterous woman”. (Luke 21:37 f. Compare this to the beginning of the Pericope as we find it today in John 8:1 ff. : “Jesus went to the Mount of Olives. Early in the morning he repaired again to the temple. All the people came to him. He sat down and taught them.” Obviously, the beginning of the Pericope overlaps with Luke 21:37 f. In the Gospel of Barnabas (Chapter 201), we find the “Pericope of the Woman taken in Adultery” in the same position as it is in the manuscripts of the Ferrar-group, namely at the end of Jesus’ preaching. This means that its author knew its correct position in the life of Jesus, presumably from his knowledge of the “Gospel of the Hebrews”. A further and very interesting common feature shared by the manuscripts of the Ferrar-group and the Gospel of Barnabas with regard to the Pericope of the adulteress is the additional information that the elders could read their own sins from the ground. This feature is missing in a great number of manuscripts which have inserted the episode from Papias into the Gospel of John. We read in the Gospel of John: “But Jesus bent down and wrote with his finger on the ground.” (John 8:6). Even the earliest witness of the Pericope, the Codex Bezae, otherwise famous for additional insertions, only reports that Jesus wrote on the ground. Apparently there is an important detail missing in the version of Papias’ commentary here used, in the absence of which Jesus’ action of writing on the ground remains unclear. Only the Gospel of Barnabas (Chapter 201) tells us of the exact circumstances, thereby elucidating Jesus’ action, when it says: “Then Jesus bent down and with his finger drew a mirror on the ground, in which every man beheld his own failings. As they continued to press for an answer, Jesus stood and said, pointing a finger at the mirror: ‘Let him who is without sin among you be the first to stone her.’ And again he bent down and formed the outline of the mirror. When the men saw this, they went out one after another ...” In the late Jerome, who often cites the “Gospel of the Hebrews” and claims also to have translated it, an echo of this theme is found, when he says: “None of the accusers of the woman caught in adultery were without sin. Christ wrote their names upon the ground.” (Writings against the Pelagians [2:17]) In the oldest Armenian Bible manuscript we read: “A certain woman was caught sinning, and all testified that she deserved to die. She was brought before Jesus, in order to test him, so that they might then convict him. Jesus answered them and spoke: ‘Come ye, who are without sin, cast stones and stone her to death.’ But he, bowing his head, with his finger wrote on the ground proclaiming their sins. And they beheld their manifold sins on the stones. But they were filled with shame and departed, and no one remained but the woman alone. Quoth Jesus: ‘Go in peace, and offer the sacrifice for having sinned, as it is written in their law.’’” (Codex Edschmiadzin [A.D. 892]) F. C. Conybeare, the discoverer of the manuscript, along with his famous friend F. C. Burkitt acknowledged the definitely archaic tone of this version. By this they probably meant the mention of the Law, the insertion of the Hebrew style element “and”, as well as the Semitic phrasing “he answered them and spoke”. More than in the standard text version, Jesus’ direct speech here conveys the impression of spoken language. The fact that the woman is only apprehended “in sin” without the term “adultery” being used, corresponds to the text of the Pericope in the Syrian Didascalia dating from the early third century, when we encounter the shortest version of it. No other version of the “Pericope of the Woman caught in Sin” is as suggestive of a derivation from the “Gospel of the Hebrews” as the Codex Edschmiadzin. In summary, we can say: There are two things to suggest that the story of the sinning woman as narrated in the Gospel of Barnabas has its origins in the “Gospel of the Hebrews”. First of all, in the Gospel of Barnabas the “Pericope of the Sinning Woman” is in the same location as it is in New Testament manuscripts of the Ferrar-group. Its author or editor must have known the correct position of the Pericope in the life of Jesus, most likely on the basis of the “Gospel of the Hebrews”, where according to Eusebius it was once to be found. Secondly, both the manuscripts of the Ferrar-group and the Gospel of Barnabas in the narrative of the “Women apprehended in Sin” contain the detail that the religious scholars beheld their own sins on the ground. This feature is not mentioned in any of the many manuscripts that have inserted the episode in the Gospel of John. It was presumably missing in the version of the Papias commentary used there, whereas it had been included in the “Gospel of the Hebrews”, as shown by the Codex Edschmiadzin. And in the depiction of the above-mentioned detail of the mirror wherein one may perceive one’s sins, the Gospel of Barnabas surpasses all other ancient sources mentioned here in its accuracy and plausibility, which speaks for the greater authenticity of the text and for its derivation from the “Gospel of the Hebrews”. In addition to the early Jewish-Christian elements identified above in connection with the “Pericope of the Sinner” in the Gospel of Barnabas, the following also deserve mention. 1) These include singular stories about the “true Pharisees”, who lived on Mount Carmel as disciples of the prophets (cf. below). 2) The complete omission of any mention of John the Baptist is a very interesting feature and points to the earliest period of the Samaria-mission. Only in the first century A.D. there existed a rivalry between Christians and a sect of followers of John the Baptist who considered John the Baptist to be the “true prophet” instead of Jesus. In later centuries, when this John the Baptist sect no longer had any relevance, there was no more motive for omitting the mention of Jesus’ precursor. a) The virgin birth is mentioned in the Gospel of Barnabas, and even before his baptism Jesus performs miracles. Both these points disagree with Ebionite Christology. b) In the Gospel of Barnabas Jesus is described as the Son of David, in contrast to the Ebionite version. David and Solomon both receive frequent and honourable mention in it. c) In the Gospel of Barnabas another man is crucified in Jesus’ stead, but he is not Simon of Cyrene, as the Basilideans believed, but Judas Iscariot. d) The frequent and positive mention of the minor prophets is totally uncharacteristic of the Ebionites, because this creed did not accept them, as is well known. e) The baptism of Jesus, which is so central to the Ebionites, is missing completely, so that we might even assume a deliberately anti-Ebionite editor. 1. Full compliance with the Mosaic Law. 2. Integration of the “Pericope of the sinful Woman”, which was included in the “Gospel of the Hebrews” in the “correct” position in the text. 3. The strong emphasis on ritual purity and highly developed ethics. 4. The great estimation of the minor biblical prophets like Amos, Micah or Hosea, none of whom, incidentally, are mentioned in the Qur’an. 5. The utilisation of rare Old Testament Apocrypha, such as the “Apocalypse of Abraham”, “Life of Adam and Eve” and their underlying oral tradition. 6. The complete omission of John the Baptist who by some sects was considered the Messiah during the early period, instead of Jesus. 7. The issue of the corruption of the Torah, which was also taken up by Jesus, according to the Clementine Recognitiones, as was the famous saying of the Lord, “Be ye skilful money changers,” referring to the distinction between genuine and false verses. 10. Jesus is “merely” a human being, but he is born of a virgin. § 5 Who are the “true Pharisees”? to which the Order of the Carmelites traces back its lineage. in the Gospel of Barnabas. Significantly, “bar naban” literally means “son of the prophet”! linked to Jesus in the fourth century by Epiphanius of Salamis. the Inquisition only in A.D. 1500.
at the time of the Crusades and were referred to as “Carmelite”. of the Gospel of Barnabas up to this present day. important first step towards reconstructing this significant personality. But there is yet more to discover. two Joseph called Barsabbas who was called Justus and Matthias. says: “of these two one”. from the first marriage of Joseph the carpenter. the life of Joseph the carpenter, the Lord’s brother Joseph, i. e.
variant “Joseph Justus Barnaban” in the Codex Bezae. who initially did not belong to the group of the twelve disciples. statement Barnabas is also confirmed as the Lord’s brother. disciples were chosen only after the baptism of Jesus. it has been suggested that Luke already must have written two versions. type. This text was prevalent even in Rome until around the year A.D.
250, as shown by the quotations from Cyprian and Novatian. 10 Series apocryphorum Nr. 3, Écrit apocryphe sur les apo^tres, 1986.
of the twelfth apostle left open by Iscariot. Joseph Barnabas, also known as Justus and Matthias. designated was one single individual. A.D. 63, could this have been by sheer coincidence? may well have been known by the name of the Gospel of Barnabas. Lord = Matthias the twelfth Apostle. non-Pauline Christianity that upheld Mosaic Law. more likely in the context of what has here been delineated. such a scripture remained unaffected. claimed to have even made his way as far as Britain. as the sons of God. one Jewish and a second one consisting of Greeks and Romans. grave of the first Bishop Auxilius, who was a disciple of Mark. § 7 Who really was crucified? chapter about the Pseudo-Clementine Writings. not Jesus but Judas is to have been the one who was crucified. actual fact Judas Iscariot was crucified in Jesus’ stead. an example we could cite the first sermon of Peter in Acts 2:24. Prophets Moses and Elijah on Mount Tabor. the word “suffering” (of Christ), has been replaced by “dying”! saved the world by his death on the cross. namely Paul and Luke, are most unlikely candidates. believe that Jesus died on the cross. of Tatian, the founder of the Encratites? gleaned this information from Christians who converted to Islam. by Safiyya M. Linges, 3. ed., Lympia (Cyprus), 2014. Italian MS and translation into French, Paris, 1977. (Updated version, 1999). at Vienna by Lonsdale and Laura Ragg, Oxford, 1907.
of the Spanish MS). Granada, 1998.
centuries collected in ten volumes, in English translation. (Internet). (among others: The Acts of Barnabas, Clement, Recognitiones). Higher Criticism 7 (1), 2000, pp.1-22. ____ Harmonia Abrahamica, Introduction to Cirillo/Fremaux, see above. Ehrman, Bart D.: The Orthodox Corruption of Scripture, Oxford, 1994.
Review 95, Jan. 2002, pp. 73-96. Studies, Vol. 61, April 2010, p. 200.
in: Revue Biblique 113 (2006), pp. 585-600. Migne Patrologia Latina, 186, 139.
and History in Scholarship, Leiden, 1994. Mélanges d’histoire des religions offerts à H. Ch. Puech, Paris, 1974, p. 191 ff. Relations 12 (2001) pp. 191-211. Schirrmacher, Christine: Der Islam, 2 Vol., 1995. 162, 1. Ed., Berlin, 1992. (Forgery theory).